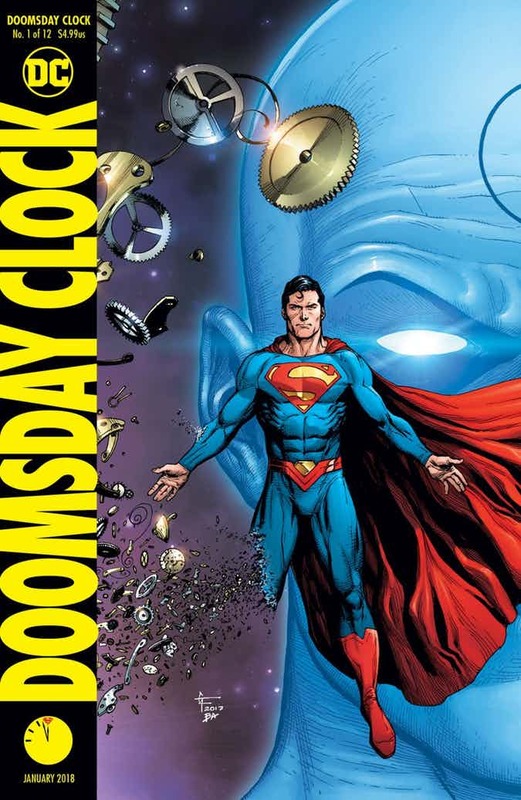 DC Comics has recently released two Doomsday Clock # 1 covers and it definitely screams Watchmen. The first cover done by series artist Gary Frank puts Superman front and center and in space. He also throws in Watchmen’s Doctor Manhattan in the background to provide the all-powerful character some semblance of involvement. We also get to see pieces of a watch scattered in one corner. Its obviously another reference to the Manhattan. You’ll notice Superman’s pose is also similar to Manhattan’s usual pose both in the Alan Moore graphic novel and the Zack Snyder movie. 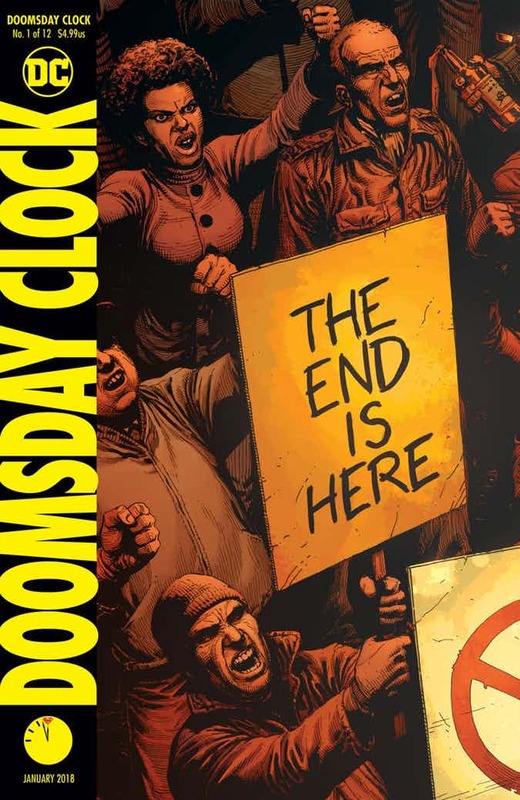 We also have another Doomsday Clock # 1 cover which also pays homage to another Watchmen character and diverts the attention away from Superman. This cover also by Gary Frank has a group of protesters with various signs including a familiar “The End is Here”. It also looks like they drew in Rorschach in the cover without his “face”. He’s seen a little bit up the signage. The color scheme they used for this Doomsday Clock # 1 cover has a red streak which covers up the hair color of a certain Walter Kovaks. I swear that was Rorschach. Anyway, Doomsday Clock will be one of the smaller pieces that will solve the riddle of DC Rebirth. It also thrusts a crossover between Superman (who recently got back most of his pre-New 52 memories) and the two unrevealed Watchmen members Dr. Manhattan and Ozymandias. The project will be written by Justice League writer Geoff Johns with frequent collaborator Gary Frank on pencils and covers.